Superdry women’s Real Originals shadow knot t-shirt. This tee is an easy piece for an impactful look, the knot detailing is bang on trend and is here to last. 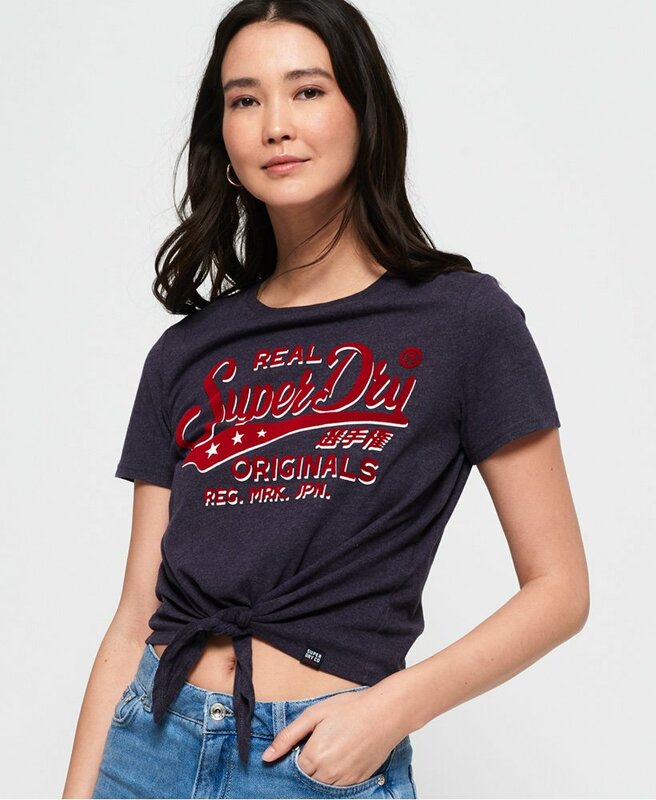 This knot tee features a Superdry logo across the chest, a flattering crew neckline, short sleeves and a Superdry tab on the hem. This tee would look great paired with jeans and trainers for a casual, everyday outfit or dressed up with a denim skirt and cute boots.